Our outward appearance is an important part of who we are, & maintaining a clear, healthy & youthful looking skin contributes greatly to our confidence & wellbeing. When we are younger we may feel self-conscious about blackheads & skin breakouts. Then we notice our skin recovers less quickly after parties & late nights. All too soon those fine lines can become more permanent, and the natural plumpness & elasticity of our skin begins to be lost. And although we can’t reverse genetics or turn back time, all skins can be improved with the appropriate home & professional care plan designed individually for you. In my career as a holistic therapist I have treated clients with every skin type, including acne, dehydrated skins, sensitivity, men with shaving damage, through to the concerns of mature and stressed skins. To achieve outstanding results on all skins I use only the most natural of skincare brands, with high percentages of organic & wild crafted plant ingredients – but with my holistic approach your home care prescription will include help with nutritional & lifestyle elements as well as advice on the best products for your skin’s needs. 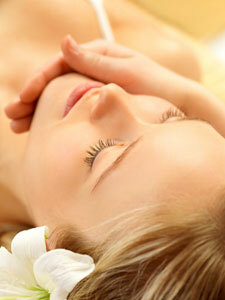 Hear how natural facials can benefit your skin to make you look and feel better, whatever your age or skin condition. I can even tidy & tint brows & tint lashes for instant eye brightening. So let me give back what life takes out of your skin. Copyright © 2019 · Anne Murray Holistics. Maintained by SavvyWeb Website Design.